Please accept our sincere condolences as you plan a memorial & funeral luncheon to honor your loved one. A memorial & funeral luncheon allows family members and friends to share memories and companionship during this difficult time. Please let us help you make this a trouble free experience for you and your family. 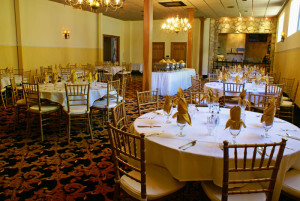 Salute Special Events banquet hall is conveniently located only 3 miles from Michigan Memorial Park, on Huron River Drive. Available 7 days a week, with private parking for easy arrivals and departing. Able to seat up 120 guests, the Salute Special Events banquet hall is ideal for large families and close friends to honor a loved one. 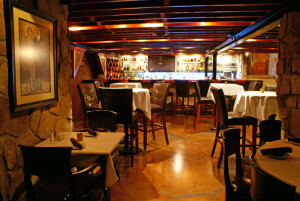 On our Lower Level, you will find The ROC Restaurant and Wine Bar. With seating available for up to 50 guests, it provides the perfect space for a more intimate gathering of family and friends. Our experienced staff are ready to help in any way they can to relieve you of all worry over details and to assure you and your guests comfort. Please call us at 734.931.0911 or Contact Us to make your arrangements.